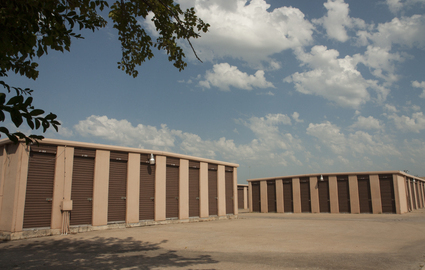 Do you need self storage in Tulsa, Broken Arrow, or Catoosa, Oklahoma? Come to Briarglen Storage! We offer a range of options to meet any of your storage needs. Businesses love our temperature-controlled units for their important documents, and they’re also great for antiques, wine, and other sensitive items. With sizes ranging from 5’x5’ to 10’x20’, we have exactly the space you’re looking for. Stop by anytime Monday through Saturday to take a look around! Our conventional storage units offer even more variety. With sizes starting at 5’x5’ and as large as 10’x30’, we have a space that’s appropriate to your needs, whether you’re storing a few seasonal belongings or packing up your entire home during a move. Additionally, you’ll enjoy convenient drive-up access for a smooth and efficient unloading process. You’ll never have to carry heavy belongings for long at Briarglen Storage! And if you ever need assistance, our resident manager is never far away. Tenants can access their units anytime between 7 a.m. and 9 p.m. every single day of the week. Just pull up and enter your code into our secure gate entry system, and as you enter, you’ll feel comfortable knowing you’re in a securely fenced and video-monitored storage facility. Have any questions? Check out our tips and our online storage calculator for some quick assistance or give us a call today! We can’t wait to speak with you.